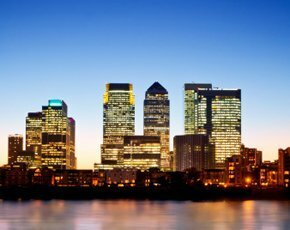 Nationwide and Santander will be supporting next year’s FinTech Innovation Lab in London, which is now open to receive applications. The two banks will join 14 financial institutions, including RBS, Lloyds, Barclays, Citi, HSBC and Goldman Sachs, in mentoring financial services technology (fintech) entrepreneurs during the 12-week programme to grow early startups. Startups chosen for the programme will be creating innovative products and services in the areas of big data analytics, mobile, payments, risk management, security, compliance, social media and collaboration. The Accenture FinTech Innovation Lab is also supported by the Mayor of London, the City of London Corporation and the UK’s innovation agency, the Technology Strategy Board. The closing date for applications is 14 September 2014. Tony Prestedge, chief operating officer at Nationwide, said the Lab is a great way for the building society to support the culture of innovation. Santander’s UK executive director, Victor Matarranz, said the bank has recently launched its own fintech fund to work with smaller organisations. “We know how important their work is and we are very proud to be involved in this mentoring program, which will provide invaluable experience and access to industry expertise for these fintech entrepreneurs,” he said. Working with early stage startups is becoming a trend in financial services, as large banking institutions are looking for agile approaches to new technologies. Citi finds startups are more productive to work with as they can get products to market quickly without the constraints of regulatory controls and internal financial processes. Seeing large banks move towards startup companies has meant that big traditional suppliers have had to change their ways of working. Big suppliers in the fintech space are becoming more agile because of competition from startup technology companies. Fintech startups are hot on the heels of the traditional IT suppliers, who are having to change the way they do business with banks, said Derek White, chief design officer at Barclays, which has just opened its own startup accelerator. Talking to Computer Weekly in April, White said the big technology companies are talking about how to act more nimbly, how to innovate and how to disrupt themselves. “They also recognise the need to work with startups, as the potential threat to the large partners becomes more and more real,” he said. The large suppliers are even asking Barclays for advice on how to become more agile after the bank launched its mobile service PingIt in just seven months. “We have articulated the model as to how we acted as a startup internally to disrupt ourselves and we’re starting to industrialise that,” said White.